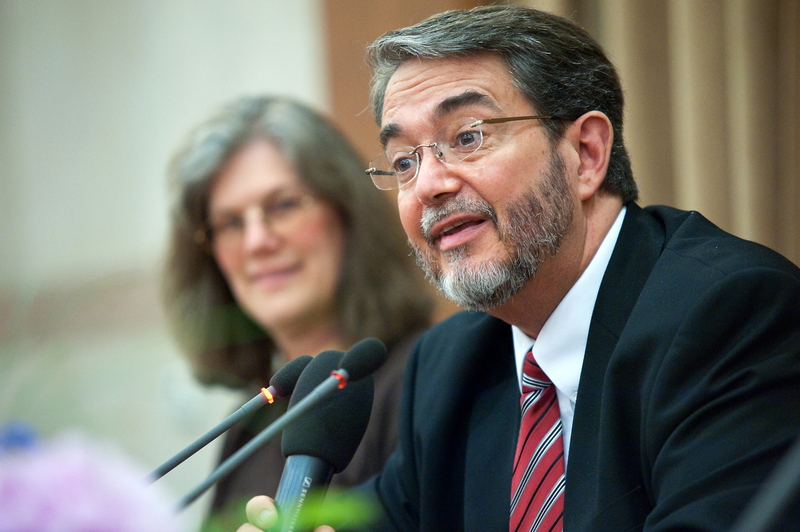 From March 12 to 15, 2018, Prof. Scott Hahn had an intensive course (in English) about the relationship between the Old and New Testaments. This course explores the OT-NT relationship by studying select biblical texts and theological themes (covenant-promise, grace-law, kingdom-church). We consider some influential interpretive approaches (promise-fulfillment, continuity-discontinuity, economy-typology), before examining key familial features of “covenant” (life, law, liturgy), the development of which we trace through the successive divine covenants in salvation history. Special attention is given to the liturgical aspects of these covenants (priesthood, sacrifice, temple), and how the original form of the “new testament” - as ratified by Christ (Lk 22; 1 Cor 11) - is a sacrament, not a document (mystagogy). After treating the relationship between ‘kingdom’ and ‘church’ in key NT texts (Matthew, John, Paul), we apply the theological analogy of ‘covenant’ and ‘family’ to show how the OT is both fulfilled and surpassed by the NT.